In her first World Championships, in 2005 in Melbourne, Australia, she won gold medals on uneven bars and balance beam, plus silver medals in the all-around and floor exercise. 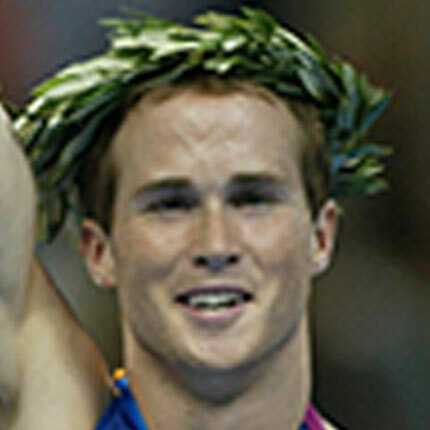 At the 2006 and 2007 Worlds, Liukin won a total of five medals—two gold and three silvers. During an era of gymnastics that values great tricks, raw power and explosiveness, Nastia Liukin’s elegance and style was a welcome presence. Born October 30, 1989, in Moscow, Russia, Anastasia Valeryevna “Nastia” Liukin is the only daughter of Valeri Liukin, gold medalist at the 1988 Seoul Olympics, and a 2005 International Gymnastics Hall of Fame inductee, and rhythmic gymnast Anna Kotchneva, the 1987 World Clubs Champion. After the dissolution of the Soviet Union in 1991, Nastia and her parents emigrated to the United States, and eventually settled in Plano, Texas, and opened a gym called World Olympic Gymnastics Academy. Nastia grew up hanging around her parent’s new gym. The Liukins were not so sure they wanted their young daughter to take on the intensity of elite gymnastics. But Nastia wanted to emulate the other girls in the gym, and began serious training with fierce determination. Nastia was a balletic dancer, with beautiful extension and long lines. Yet her focus and determination were just as impressive. Her best event may have been the uneven bars, where her clean form and technique was on full display. She also had a skill named after her on the balance beam. After placing second to her teammate Shawn Johnson, in both the 2008 U.S. Championships and the U.S. Olympic Trials, Liukin was somewhat of an underdog heading into the all-around finals of the 2008 Olympics in Beijing. Liukin peaked, however, at exactly the right time. And what an event to do it! She had the meet of her life in Beijing, edging out Shawn Johnson for the all-around gold medal. In 2008, Liukin also earned a silver medal in the beam, bronze on the floor, and tied for first on the uneven bars with He Kexin of China, but was dropped to second place via a tie-breaking procedure. Liukin has parlayed her popularity into a variety of businesses and charitable causes, and each year, she partners with USA Gymnastics to host the Nastia Liukin Cup, which features competition for young up-and-coming gymnasts. With 9 World Championship medals, four of them gold, and 5 Olympic golds, including one of the most cherished in the sport, the all-around gold medal, Nastia Liukin has reached the epitome of gymnastics. She joins the International Gymnastics Hall of Fame in 2018.